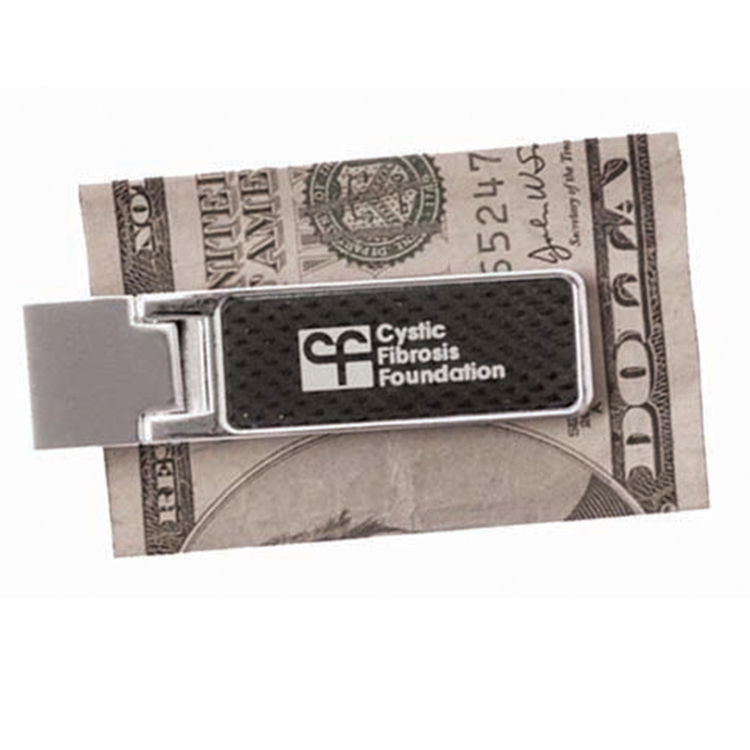 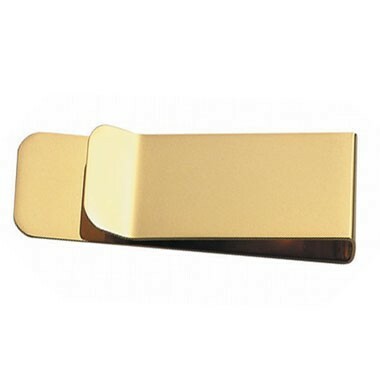 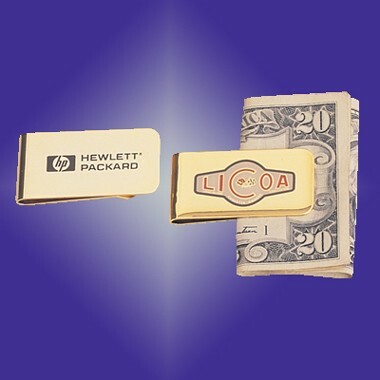 Gold Plated Money Clip Material: GOLD PLATED Measurement: 1" X 2" Imprint Area: 1" X 3/4"
Stainless steel money clip features a built in knife, nail filer and a scissor. 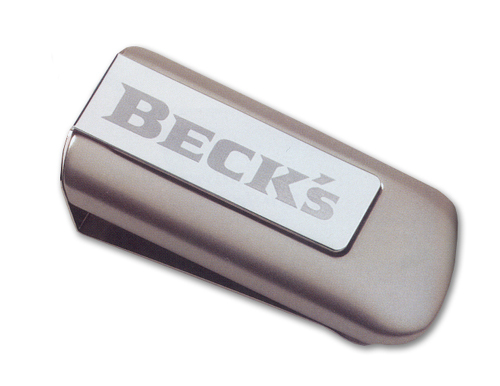 Belt clip attachment on the back. 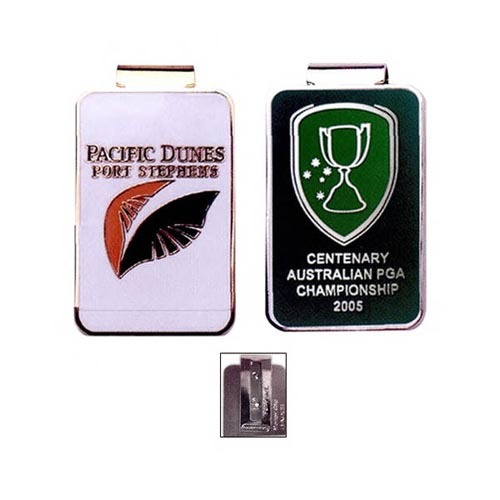 Our customized products include; lapel pins, coins, medallions, key chains, PVC products, dog tags, emblems, patches, zipper pulls, bookmarks, tie bars, cuff links, magnets, spinners AND endless customized metal and PVC products! 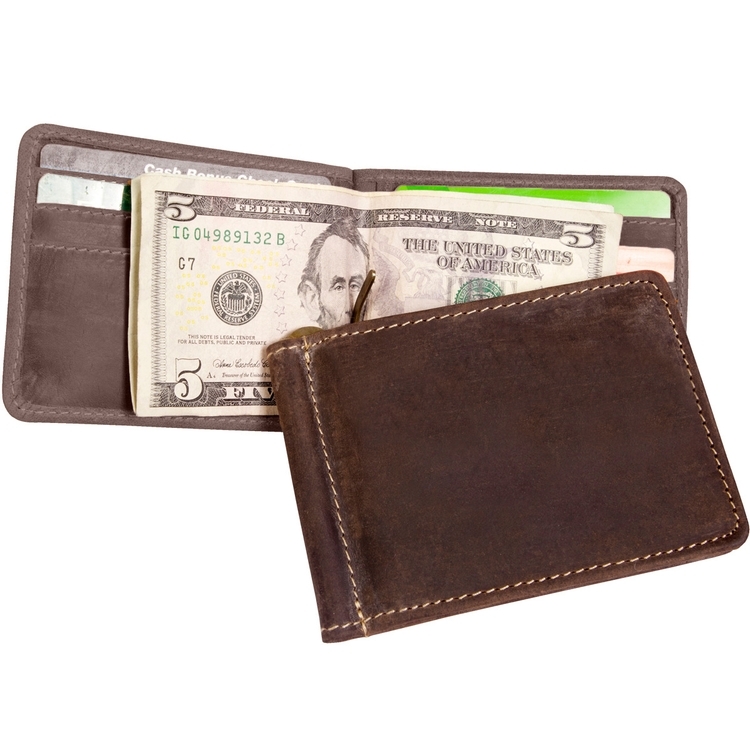 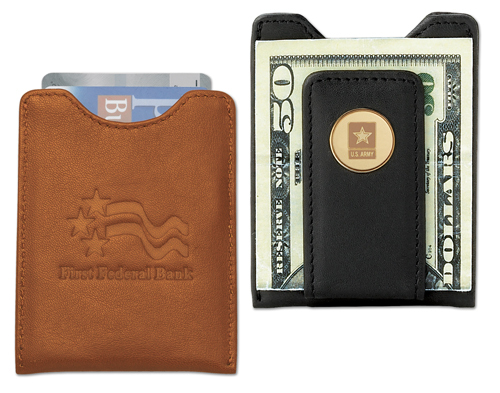 Hold your money in style. 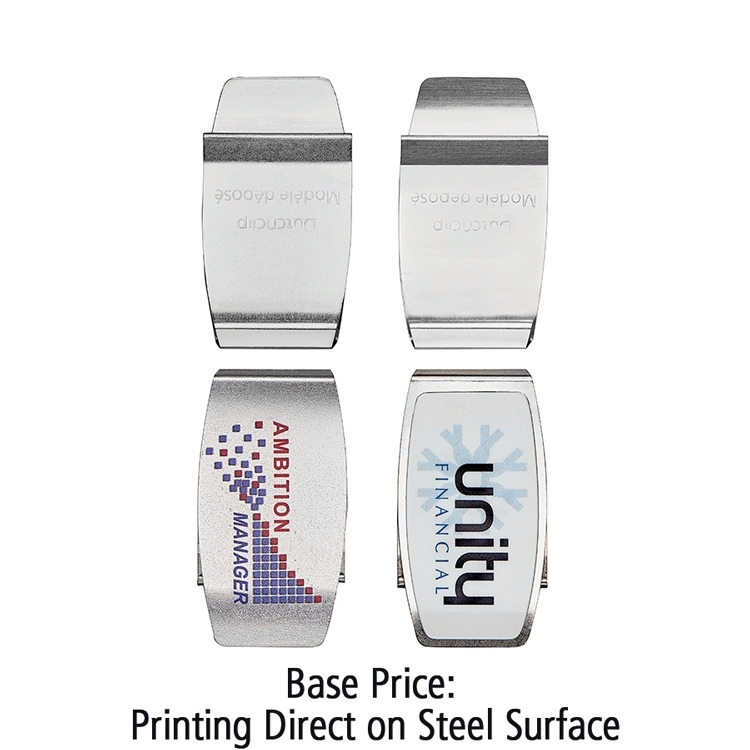 Custom design your artwork in our full color enamel finish. 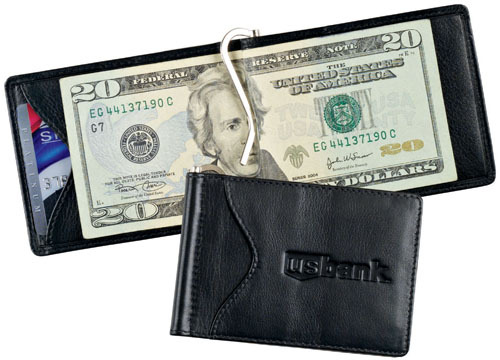 Tempered steel clip will secure as little as a single bill or a stack of currency. 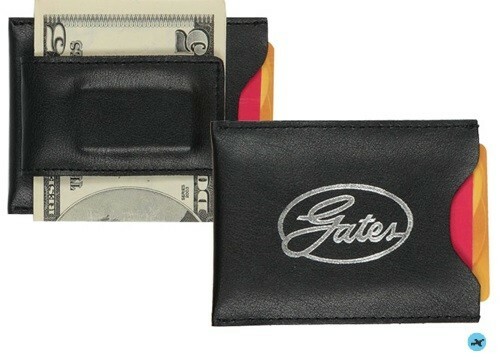 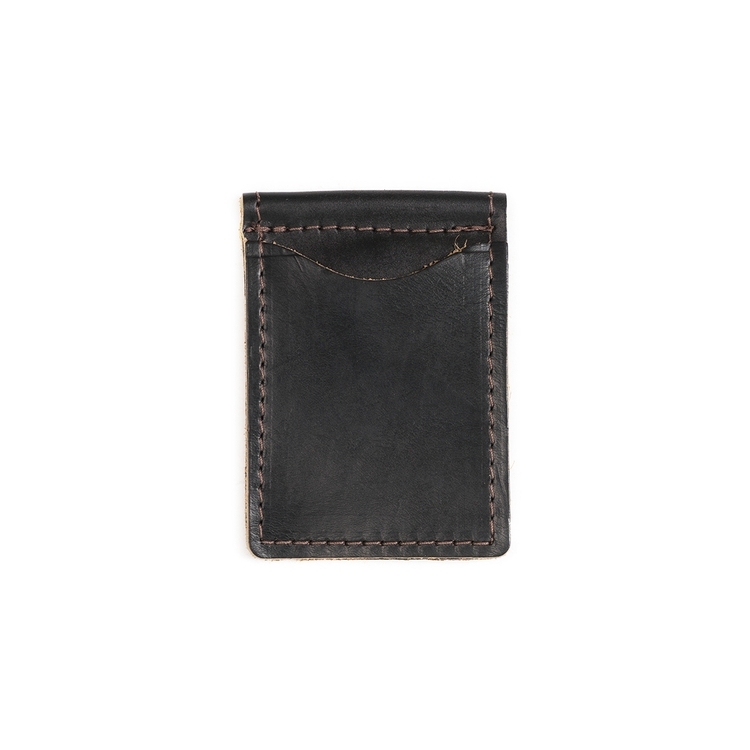 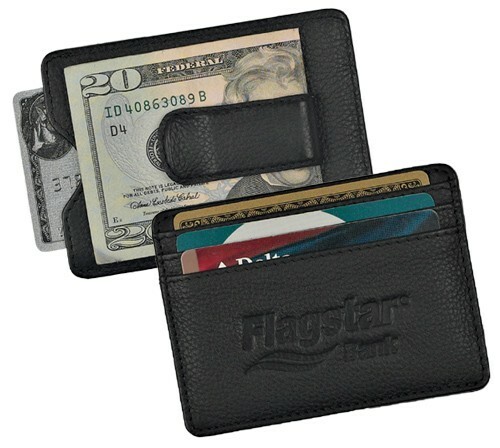 Radius corners and slim design make this a friendly front pocket accessory. 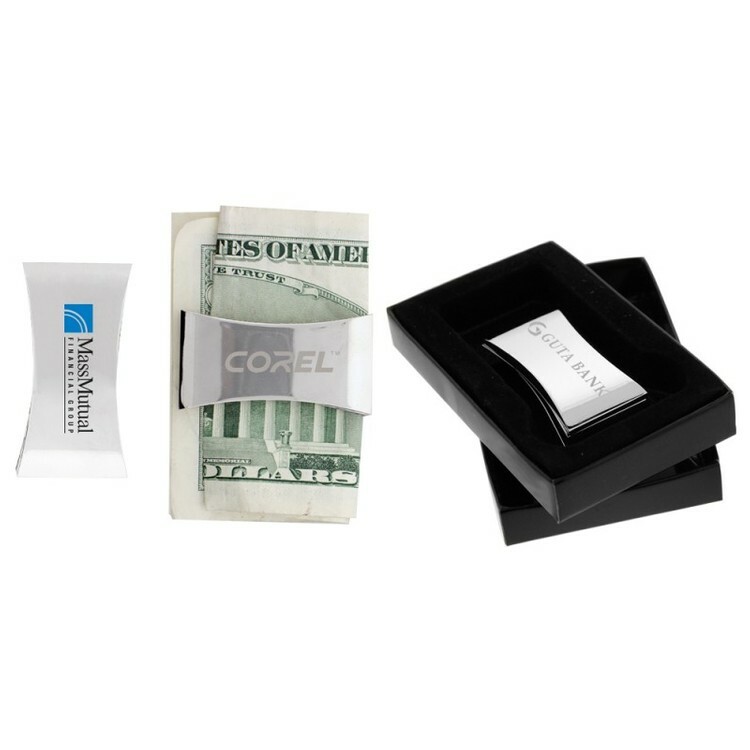 Window packaging available. 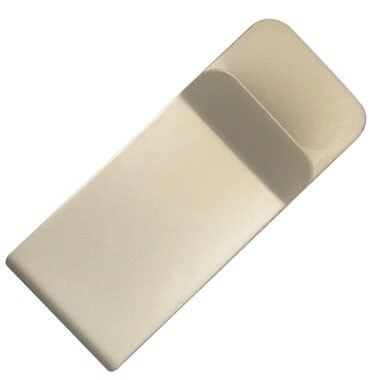 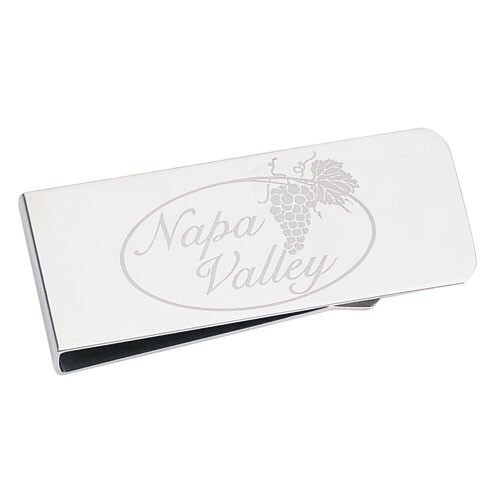 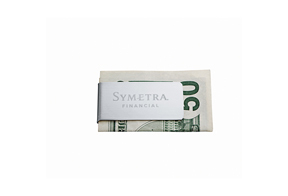 • Polished metal money clip with a fold over locking closure. 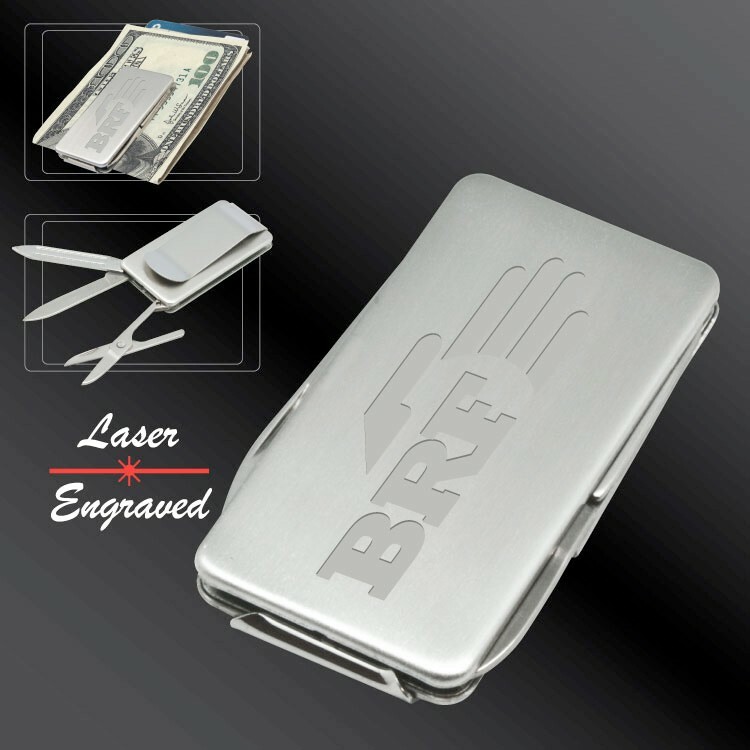 • Includes a gift box. 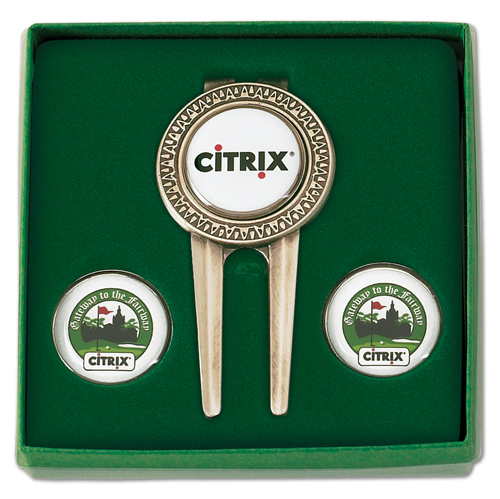 Our magnetic medallion green repair tool packaged with 2 additional ball markers. 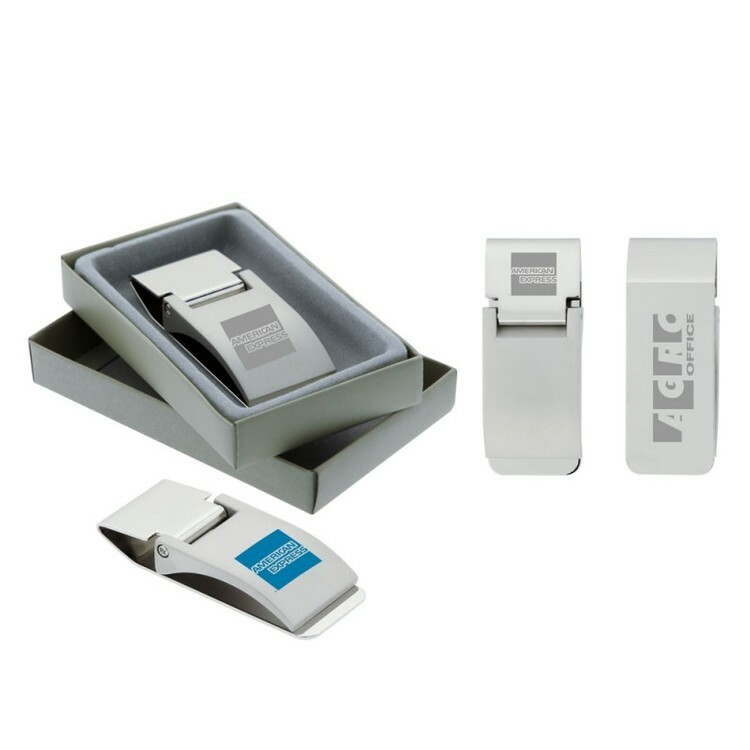 Clear view presentation box included. 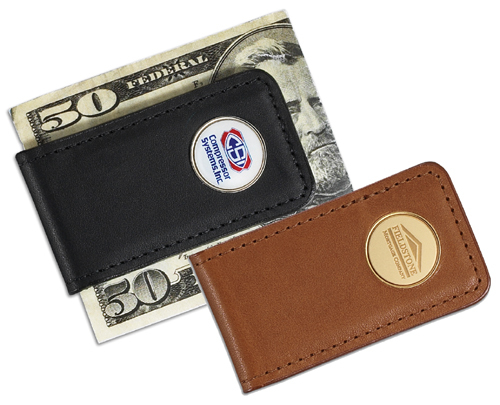 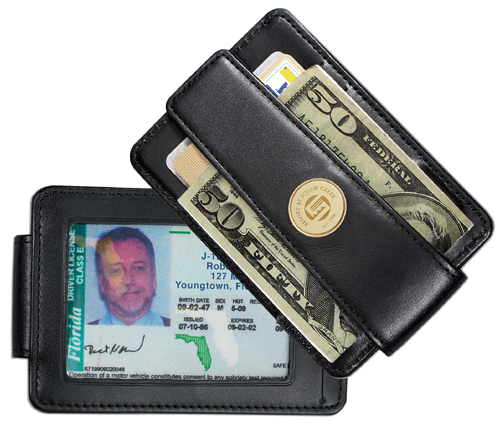 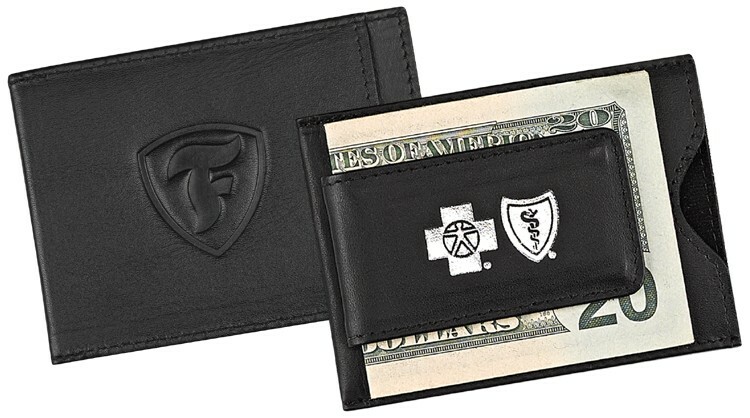 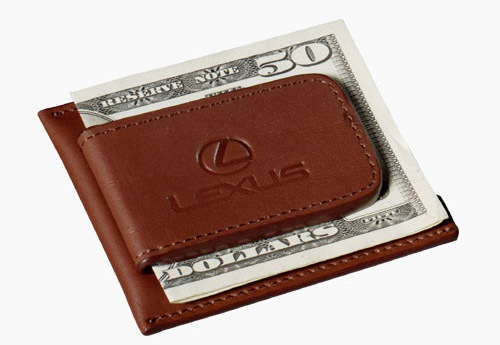 Money clip feature adds additional function to this tournament gift selection. 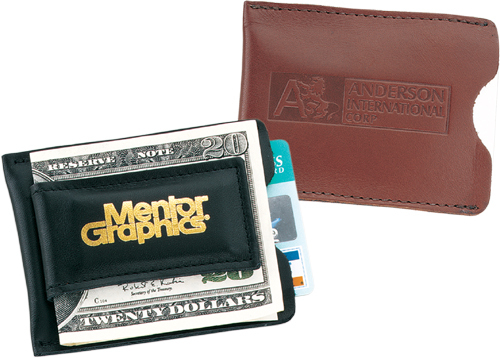 Full-color or satin etch imprint. 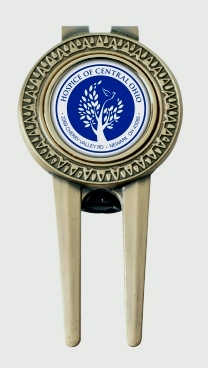 Solid metal multipurpose green repair tool features our unique compass etched design with 1" diameter magnetic ball marker. 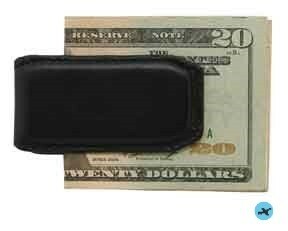 Tempered springs securely attach to belt, pocket or currency. 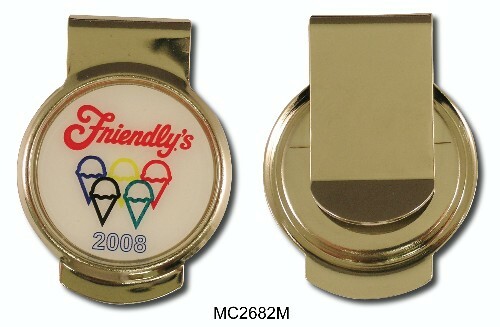 Full-color or satin etch imprint.